Always have a plan when entering into a practice session. This plan should consist of - what technical skill am I trying to improve, how long should I focus on this skill and what drills can I do to improve that skill. You should then break your practice session down into blocks of time. For the 1st block, focus on the technical skill adjustments you are trying to make. 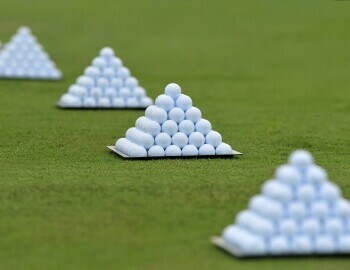 For the next block of time focus on developing your skill, things such as changing targets, hitting low shots, hitting high shots and curving the ball right and left.